Events – Judith Ruskay Rabinor, Phd. Clinical Supervision: Guidelines When Working with Eating Disorder Patients and Their Families, with Dr. Judith Brisman, PhD. Renfrew Center Foundation Conference-Integrating Science, Creativity and Clinical Wisdom. Philadelphia Airport Marriott, PA. Writing for Your Life: The Healing Power of Story–All day workshop. Whether you are a beginning or a published author, this workshop invites you step-by-step into the inner territory of your own creativity. Location: New York City, TBD. 5 hour intensive: An In Depth Exploration of Motherhood Through the Life Cycle. Where else are women loved so much and blamed so intensely as in motherhood? Why is the highest calling so undervalued? We will share our experiences and consider some of the unrealistic and unattainable attitudes surrounding mothering, including those we absorb from our own families, previous generations and from theories that inform as well as limit us, placing an unrealistic burden on motherhood. Difficulties in self regulation and self soothing underlie a wide variety of psychological issues. Guided imagery is a healing techniques that has proved effective working with problems as diverse as stress, pain, addictive urges and trauma. Participants will have the opportunity to experience guided imagery as a self care technique and will leave this workshop with new clinical tools. 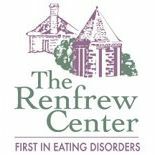 Speaker: 25th Annual Renfrew Center Foundation Conference, November 13-15, 2015. Writing: A Pathway to Vitality and Wholeness. Location: Philadelphia Marriott Airport. Difficulties in self regulation and self soothing underly a wide variety of psychological issues. Guided imagery is a healing techniques that has proved effective working with problems as diverse as stress, pain, addictive urges and trauma. Participants will have the opportunity to experience guided imagery as a self care technique and will leave this workshop with new clinical tools. If you or someone you know is struggling with co-parenting during divorce, then this free webinar is for you. Learn new approaches to problems divorced parents face, including anger management strategies, communication skills and creating new rituals to protect your children from the damaging effects of divorce. Join this free informative webinar. Free replays available but you must register for access to the replays. Please send this to anyone you know who might be interested. 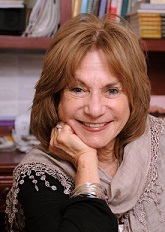 Judith Ruskay Rabinor, Keynote speaker at the 24th Annual Renfrew Center Foundation Conference, November 14-16, 2014, Philadelphia Airport Marriott, PA.
we face end of life. Book Launch: Divorce in the 21st Century: Minimizing the Damage, Optimizing the Benefits, Dealing with the Challenges. Also, please check out this podcast from The Family Law Insider. My name is Wendy Hernandez, and I am a Family Law Attorney in Phoenix, AZ. In researching books to give my new clients with children, I came across “Befriending Your Ex After Divorce.” Your approach is in line with my practice philosophy, and I appreciate the fact you recently devoted a whole book to this often neglected topic. I also like your writing style. My goal is to help people, not just talk about “boring” legal stuff. Last week, I had a NYC yoga teacher as my guest talking about “Living Passionately During Divorce.” Next week, I am going to interview a dating coach/matchmaker on dating after divorce. I am wondering if you would consider being a guest on the show? The show is 1/2 hour, and I think you could really impart some wisdom that my listeners need to hear. I’d love to help share your message that “befriending your ex” can be awesome! Please let me know if you’d be open to this opportunity. If so, we can get you scheduled, then think about specific interview topics.